Preheat your oven to 350 degrees. Thaw spinach and empty the box into a colander and let it drain. Rinse the mushrooms and slice them thinly. Place the sliced mushrooms in a skillet coated with non-stick spray, add the minced garlic, and sprinkle a little salt and pepper. Turn the heat on to medium-high and saute the mushrooms until they release all of their moisture and no more water remains. 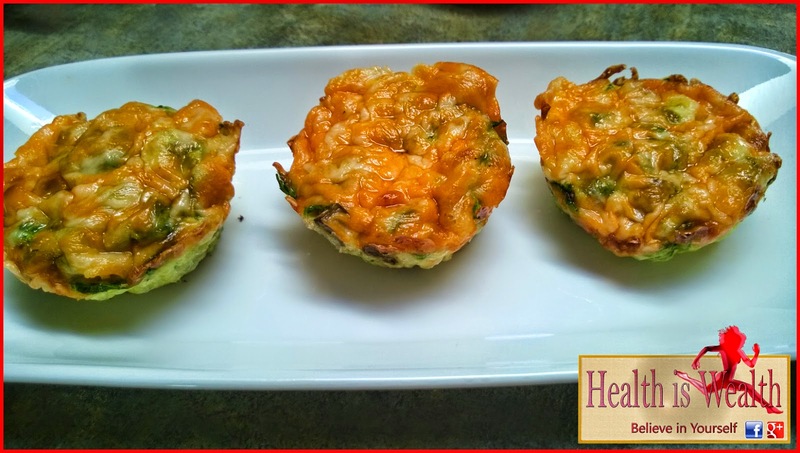 Squeeze the rest of the water out of the spinach and spread it out on the bottom of the silicon muffin cups. Add the cooked mushrooms and crumbled feta. In a medium bowl whisk together the eggs until fairly smooth. Add the milk, parmesan, and another small sprinkle of pepper. Whisk to combine. 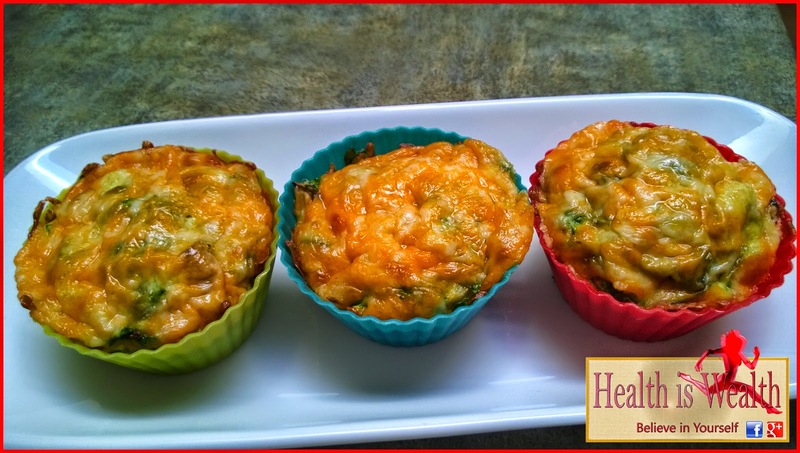 Pour this mixture into the muffin cups over the spinach, mushrooms, and feta. Sprinkle the shredded mozzarella cheese over top. 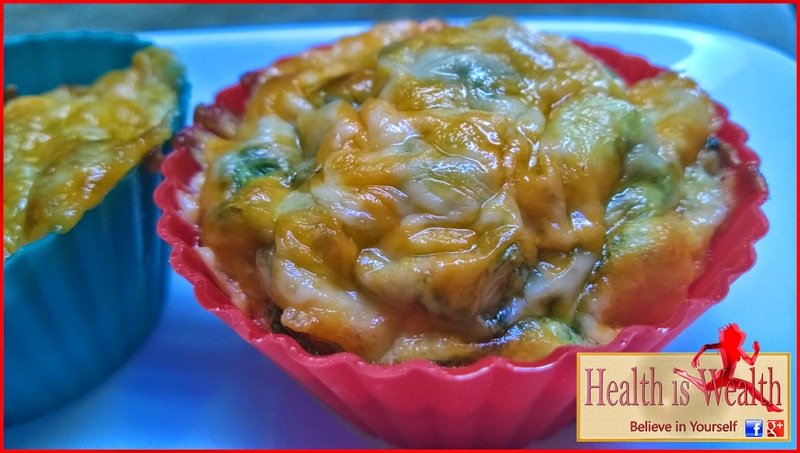 Place the quiche into the preheated oven and bake until it is golden brown on top and the center is solid about 25-30 minutes. Enjoy!